If you visited the Fakenham branch during November you will have noticed that counter salesman Martin looked a little different to usual. 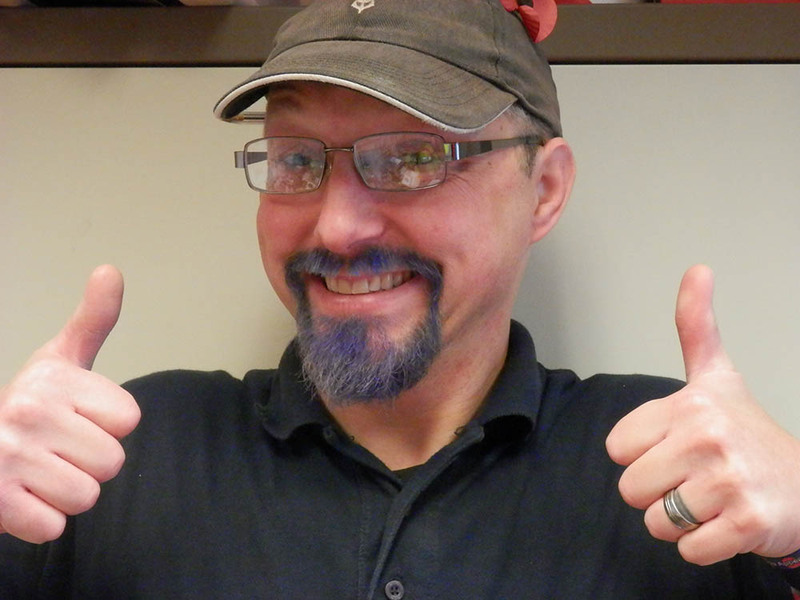 This year he decided to raise money for men’s health charities in the “Movember” campaign by dying his goatee beard blue. It’s really important to get less discussed men’s health issues such as prostate and testicular cancer a greater amount of media coverage, he said. Martin would like to say via our branch page a huge thanks to all our trade and retail customers who helped him raise just over £245 for the charity. On the 12th of September, the branch at Fakenham was lucky enough to be on the route for the 2015 Cycling Tour of Britain. This penultimate stage of the race started at the Fakenham Racecourse with 104 of the original 120 competitors, including Sir Bradly Wiggins, peddling their way 227km through the Norfolk and Suffolk countryside leading to a furious finish in Ipswich. The riders along with their huge amount of support vehicles, police and media came right past the branch just after 10am. All the staff came to support the athletes and as you can see from the photos we really got into the spirit of things decorating the front of the branch!